As a bodybuilder, you must have heard that your muscles grow outside the kitchen. Learn how to eat like a bodybuilder by recruiting the power of foods for gigantic muscle gains. Know the essentials of a muscle building meal plan and supersize your muscle gains by knowing what to eat and become a smart bodybuilder. In case you are wondering what is the difference between an average and a smart bodybuilder? The answer is that the former relies on the trusted route of crunches, lifts, protein shakes and reps but the latter goes beyond the norm. The smart bodybuilder is aware of the power of foods and recruits them intelligently to pack on unadulterated muscle. If you wish to move to the other side, you need to know the rules of a bodybuilding diet plan for mass gains and follow those rules religiously. The bodybuilding diet plan for beginners revolves around getting in a calorie surplus situation. No wonder, as a muscle seeker, you must have heard the need to eat more, if you wish to bulk. Though, it is true, yet bulking does not give you the license to gorge on foods whenever you want to. You have to work on getting in a small 'calorie surplus' to supply your body with essential proteins to synthesize muscle and minimize fat storage. This small surplus will be 10 percent over and above your calorie needs. A mini meal consisting of high-quality protein, fats and fiber should be enough to provide a marginal increase over your everyday calorie needs. However, if you train ferociously, the marginal calorie increase will just not sustain your muscle gains. Therefore, you need to eat more often probably 7-8 meals in a day to build those muscles. 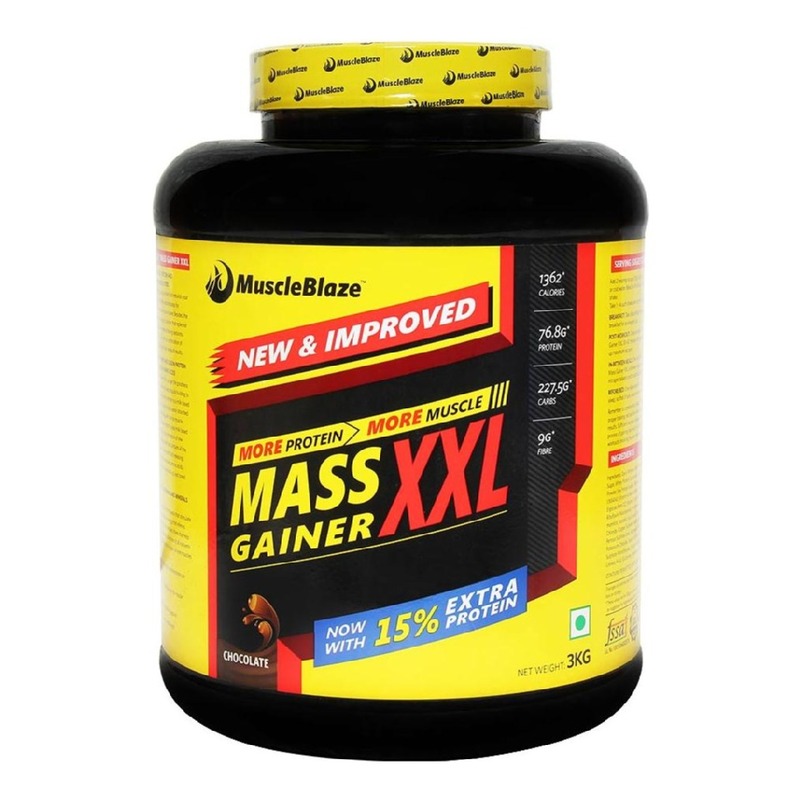 If you are having a hard time getting in all the calories from foods, MuscleBlaze Mass Gainer XXL is for you. 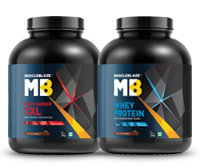 It is powered with premium proteins and complex carbs, so that you can get high-quality nutrition along with measured calories. 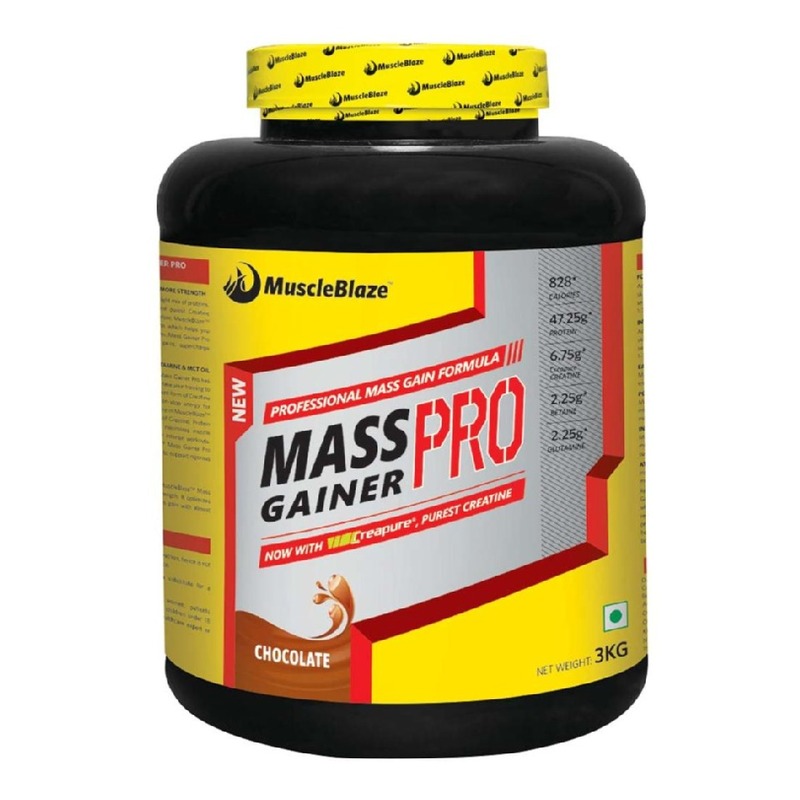 Not only a mass gainer takes care of the calorie needs, it is easy to include in a meal plan and provides ample nutrients. Proteins constitute almost one-fourth of your muscle fibers. The rest is composed of water and glycogen, (the longer-chain version of glucose). Though there is a general consensus on the role and need of protein to trigger muscle mass growth, still when it comes to practice you tend to fail because measuring protein is by no means an easy task. Moreover, what works for sedentary folks will not for someone like you who lives by the reps. The standard guidelines provided by American Dietetic Association recommends 0.36g per pound (0.453grams) of body weight. For an 180 pound male (81kg) this would amount to 65 grams of body weight which is a bare minimum. For active individuals, the recommendation changes and the National Strength and Conditioning Association recommends 0.4 to 0.6 g per pound of bodyweight with as much as 0.8 g for a competitive athlete. This may get complicated in the real life. The simplest way to remember your protein intake is to find out your body weight in pounds and consume equivalent protein in grams. Equally important is the source of protein. The rule of thumb is that if it doesn't run, swim or fly, it is not a source of complete protein. Vegetarian foods provide incomplete protein. This implies that such foods don't provide all the essential amino acids required by the body. Proteins from flesh foods have a higher biological value (BV) which means they are more readily absorbed by the body for cellular repair and muscle growth. To give a perspective, eggs have a BV of 100 per cent, beef is 80 and beans are less than 50. However, vegetarian foods also provide enough high-quality proteins, if you know the right foods. While you just can't discount carbohydrates, in your meal plan you need to emphasize on complex carbohydrates. Unlike simple carbohydrates they don't swell your energy levels quickly, rather provide a steady and sustained trickle of energy to fulfill your daily needs. Therefore, your insulin levels don't go through the roof and your body is less likely to store fat. Almost half of your daily calorie needs should come from carbohydrates. With 4 kcal per gram, carbohydrates such as cereals, fruits and vegetables are dense sources of vitamins and minerals. Moreover, carbohydrates pump the muscles with glycogen that acts as fuel during workouts and also makes these muscles look fuller and firmer. While you can?t go wrong with complex carbohydrates, you can safely have quick-acting carbohydrates after intense workouts to replenish your energy levels. Mornings are best suited for carbohydrates like fruits to break the fasted state of the body. You can also have carbohydrates before workouts. 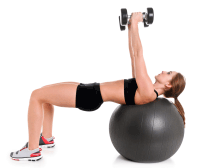 If you are keen to accelerate your muscle gains, you need to make friends with fats. For strange reasons, fat has earned a negative reputation, but the fact remains that the good fats are required to build muscle, lower diet-induced depression, and repair exercise-related inflammation. Many would not know that saturated dietary fats found in organic eggs, milk, butter along with mono and polyunsaturated fats help boost your testosterone levels, the primary male hormone that beyond defining male sexuality goes on to add muscle mass to your physique. A study published in the "Journal of Applied Physiology" confirms the association between monounsaturated and saturated fats and testosterone levels. In "The Abs Diet Eat Right Every Time Guide", author David Zinczenko says, whey contains the highest amount of protein you can get with the fewest amount of calories. With the protein digestibility score of 100 percent, whey provides a constant supply of amino acids in your blood stream and reduces your craving for junk foods. While whey is an anytime drink, it's kind of mandatory post workout to rush the amino acids to the distraught muscle fibers. Keep your MuscleBlaze Whey Protein close when you work out to yield maximum benefit from your exercise. Moreover, water recommendation goes up to 3.5 to 7 liters in men and women who train fiercely. Watery beverages, pre-workout drinks like BCAAs, milk and fruits will all add up to your water requirement. Also, remember to eat clean, sleep well and train like there is no tomorrow to meet your bodybuilding goals.